View cart “Necktie Stripes – Red and blue – Maki-e Pin” has been added to your cart. 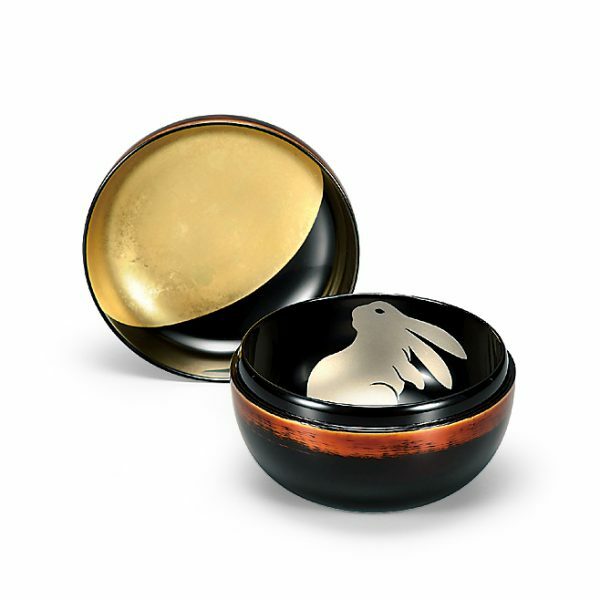 Maki-e is a japanese lacquer sprinkled with gold or silver powder as a decoration using amakizutsu or a kebo brush. The technique was developed mainly in the Heian Period (794-1185) and blossomed in the Edo Period(1603-1868). Maki-e objects were initially designed as household items for court nobles, they soon gained more popularity and were adopted by royal families and military leaders as an indication of power. Maki-e started to appear more often amongst the military elite when “the great unifier” Toyotomi Hideyoshi took a liking to it. On top of that Maki-e based products gained huge success as exported goods to Europe. As a result, even to this day the word “JAPAN”, not only means country of Japan, but also Lacquer products. The peak of Maki-e was in the Edo Period. It was used to decorate most items for a more luxurious look such as bridal wear, furniture and jewel boxes. 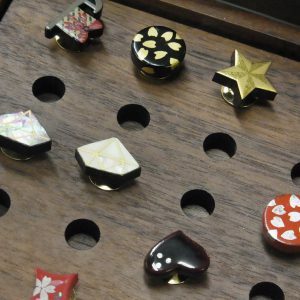 Thanks to the boom of Maki-e – artisans began creating new designs and styles we can see today, thus marking the climax of Maki-e.
Maki-e started to appear more often amongst the military elite when “the great unifier” Toyotomi Hideyoshi took a liking to it. On top of that Maki-e based products gained huge success as exported goods to Europe. As a result, even to this day the word EgJAPANEh, not only means country of Japan, but also Lacquer products. The peak of Maki-e was in the Edo Period. It was used to decorate most items for a more luxurious look such as bridal wear, furniture and jewel boxes. Thanks to the boom of Maki-e – artisans began creating new designs and styles we can see today, thus marking the climax of Maki-e.